You are currently browsing articles tagged Marine Corps. Hershel “Woody” Williams was warmly greeted by an enthusiastic audience upon his arrival at the Y-12’s National Security Complex for a Town Hall Forum. Tennessee earned the nickname “Volunteer State” during the War of 1812 because of the prominent role played by her sons, especially during the Battle of New Orleans. When Andrew Jackson asked the state for 2000 troops, they sent 30,000. It was therefore with good reason that the Congressional Medal of Honor Society chose Knoxville as the site for their 2014 Convention honoring a collection of 48 heroes who earned our nations highest award for heroism, the Medal of Honor. As my barber plied his trade I shared the stories from a marvelous town hall forum I had just attended with Medal of Honor recipients Col. Wesley Fox, Hershel “Woody” Williams and Ron Rosser. CWO Hershel “Woody” Williams, at 91 years of age, is one of the oldest living recipients. The audience chuckled when he chided organizers for giving him such a comfortable chair. “At my age,” he said, “I might fall asleep.” Nevertheless when it came his turn to speak he sat on the edge of his chair with the determination of one ready for more combat. He was initially inspired to serve by the thought that our nation was in danger and our very freedom threatened. 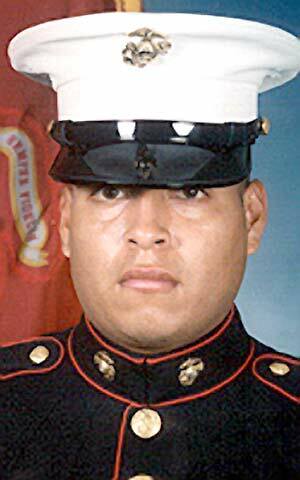 “I will join the Marines,” he recalled thinking, “and fight anyone who dares to take our freedom away.” In his mind this would entail staying on American soil. CWO Williams was shocked, after joining the Marine Corps and to find out that he, a boy from Fairmont, West Virginia, was heading to a place he had never heard of: the South Pacific. He would ultimately earn our nations highest award during the battle for Iwo Jima on the very same day as the iconic flag-raising that has come to symbolize American valor. He was part of what was initially a six-man-group of flamethrowers, a weapon that was widely used during the conflict. The life expectancy of such men in battle, he explained to an awestruck audience, was five minutes. All his men were quickly killed leaving him with the unenviable task of whipping out a network of six reinforced concrete pillboxes used by the Japanese to rain down death upon his fellow Americans. The audience sat on their edge of their seats as he described advancing with his 70-pound flamethrower in the face of withering small arms fire. He made frequent trips back to his own lines to obtain serviced flamethrowers in a battle that lasted four hours. He was ultimately successful and not only survived but miraculously came through the ordeal without a single scratch. Sgt. Ron Rosser told of an equally gripping battle he fought during the Korean War when his actions earned him the Medal of Honor. He was a forward observer for Company L, 38th Infantry on a bitterly cold January day in 1952, where temperatures dipped to 25 degrees below zero. They numbered 173 and were charged with an impossible task of taking a hill that was fortified with 1500 enemy combatants. Their initial attempt was repelled by fierce automatic-weapons, small-arms, artillery and mortar fire. With numerous casualties and a commanding officer who was incapacitated Sgt. Rosser volunteered to lead the surviving members up the hill. He courageously led his man back into the fight. Upon reaching the top of the hill, however, he looked around and found he was all alone. The rest had either been killed or taken cover to avoid what seemed certain death. Sgt. Rosser engaged in hand to hand combat and a point blank fire fight. After exhausting his ammunition, he went back down the hill gathering wounded along the way. On two more occasions he would return to the top of the hill and engage an enemy that seemed shocked at their inability to kill one determined American soldier. During his action Sgt. Rosser single handedly killed thirteen of the enemy. When the battle was over he accompanied the withdrawing company and, in spite of his own injuries, made several trips across open terrain under enemy fire to gather those more wounded than himself. Col. Wesley Fox served as a Marine for 43 years and is also a two-war veteran. After earning a Purple Heart in the Korean War, he went on to serve in Vietnam for thirteen months as an advisor. In February of 1969, he was the commanding officer of Company A and was wounded by a fierce attack from a well concealed enemy force. Col. (then Capt.) Fox maneuvered himself into a position in which he could assess the situation. As his men began to implement the plan he had devised, the enemy attacked and Capt. Fox was wounded once again. He nevertheless kept his calm, advanced through enemy fire, neutralized the enemy position then ordered an assault on the hostile emplacement. The battle continued to rage, and after his executive officer was killed, Capt. Fox reorganized the company and directed the fire of his men as they hurled grenades and forced the enemy to retreat. During this final assault Col. Fox was wounded a third time. He refused medical assistance however so that he could establish a defensive position and help organize evacuation of the wounded. He explained the concern he had that all his men were accounted for and that they all got out of the battle zone. A key point in this particular battle was when the clouds parted and allowed the sun to brilliantly shine through. Col. Fox attributed such a turn of events to Divine Intervention because it allowed him to call in the much needed air strikes to eliminate machine gun nests which had caused so much devastation to his men. This is a very brief narration of an intense battle where one man showed unbelievable courage and leadership. Hearing Col. Fox’s third-person-narrative of the action would lead one to think he was not even there when it happened. It was a refreshing example of humility in a man who does the impossible yet is hesitant to draw the spotlight upon him. The rest of the convention events included numerous school visits, the closing Gala that drew 1,700 participants, and the autograph session. During the town hall forum event, a Vietnam veteran sitting next to me said he planned on going. “I have never asked anyone for an autograph,” he quickly added, “but these men’s signatures mean something.” We both agreed they were of more value than the utterly meaningless yet so coveted signatures of athletes, musicians and movie stars. This same appreciation could be seen in all those who came out to see the recipients. A touching scene was that of a mother with her young son going through the hotel lobby. One by one, she introduced the wide eyed boy to the men with the blue ribbons and attached medal hanging around their necks. The look of admiration in the boy’s eyes was a common sight with old and young during the memorable days in Knoxville. Before the event was over, I had a memorable and candid conversation with CWO Williams. He is remarkably strong, both physically and mentally, for someone who fought at Iwo Jima. What is the secret for your longevity? I asked. “The secret,” he said, “is to always keep a positive attitude.” Then as his eyes welled up with tears he added, “I have been given so much from my country, I am just happy that I can give something back.” I then thanked him for being such a positive role model for others, and for his heroism in World War II. After all, he volunteered to serve his country because America’s freedom was at stake. He willingly put his life on the line, did many difficult things… but on a given day, at a crucial moment, in one of our nations most historic battles, he did what others would have deemed impossible. Moving video about the recovery of US Marines Killed in Action on Makin Island in WWII. THIS IS ONE OF THOSE GESTURES FOR WHICH THERE ARE FEW WORDS. Maj. Gen. James Livingston USMC (Ret.) is a Medal of Honor Recipient whose heroism can now be cheapened by any imposter audacious enough to wear the medals he courageously earned. The federal government failed us all on June 28th, and in more ways than one. Days before Americans celebrated the anniversary of our nation’s hard-fought independence, the Supreme Court of the United States declared unconstitutional the Stolen Valor Act. Overshadowed by its decision to uphold the constitutionality of the Affordable Care Act (aka Obamacare), the Court’s decision was a landmark blow to a definitive feature of American culture: The prestige and honor we bestow upon sacrifices made by few while protecting the freedoms enjoyed by all. According to the Court, Congress violated your First Amendment rights to free speech by making it a federal crime for you to knowingly issue false claims about your receipt of military awards and decorations for heroism, including America’s highest military decoration, the Medal of Honor. If, that is, you do so without the intent to defraud — as if one would falsely claim their receipt of America’s top military awards and decorations for heroism for other purposes. The decision to eliminate any penalty for those persons falsely claiming receivership of these hard-earned and treasured honors is disturbing in many ways. But it brings to mind two simple questions: Can we meaningfully protect the integrity of the system of military honors without legally deterring activities that diminish the sanctity of those honors? Moreover, by scrapping such legal deterrents, by making it lawful for anyone to falsely claim participation in that system, has the Supreme Court not diminished the integrity of the system of military honors, which so clearly stems from its inclusion of a select few, for select reasons? The great irony of this decision is glaring. It is a crime to falsely claim degrees earned from universities for personal gain and employment. It is a crime to cheat on professional examinations in college. It is a crime to provide false or misleading information on a bank or mortgage loan application. Likewise, it is a crime to lie to law enforcement officials during the course of an investigation, and pose as an unlicensed professional, such as a doctor, lawyer or police officer. It is even a crime to falsify a student education loan or a passport application. These are all examples of fraud for personal gain. And I fail to see how falsely claiming undeserved military combat honors, especially the Medal of Honor, Purple Heart, or any award for valor is anything less than the greatest of frauds. Particularly as perpetrators’ agendas are virtually always focused on attaining notoriety and some form of accommodation by claiming receipt of special acknowledgements for service to our country which are reserved by the federal government for a very special group of patriots. Those who make such claims regarding the Medal of Honor, Purple Heart and other decorations for valor tarnish the prestige, sanctity, honor and sacrifices of those who have legitimately earned these distinctions. In so doing, they denigrate the system of military honors, public perception of that system, and chip away at the prestige our society rightly assigns to military service, and combat heroism. I have personally served with fine young Marines, soldiers, sailors and airmen who legitimately earned accolades and honors reserved for military heroes for their service to our country — many of whom never lived to benefit from their sacrifices. In my view, it is a disgusting and tragic footnote to our collective history that our highest court has determined accolades for such service are, in essence, free to acquire, without proper sanction, and may be displayed in the public domain under false pretenses by individuals who might not have even served in uniform. It is a privilege for Americans to serve in uniform, and in particular an honor to be chosen to serve in the United States Marine Corps. But these imposters, these brazen charlatans who lay claim to these undeserved honors make it an absolute disgrace — a true dishonor — to all of us who have served in uniform. Let alone suffered the pain of battle, faced an enemy, collected the dead and wounded, and lived with the aftermath of doing a job that most cannot fathom, or would ever wish to perform. Of course, these imposters do more than dishonor those of us who have served. They dishonor the values and integrity of our nation and its proud heritage. Our current administration and the Supreme Court — through their continued and questionable actions — have made it abundantly clear that personal accountability, personal and national honor, individual integrity, and duty to the nation above oneself mean much less than self-gratification, the agendas of political action committees, currying favor for elected office, and claiming unearned honors for personal gain through any means. These are neither the values, nor a legacy we should impart to future generations of Americans. If the federal government is unwilling to do what is right in this case, individual states must rectify this gross lapse in judgment. Just as states implemented their individual versions of immigration reform laws after being let down by the federal government, the states should establish laws to protect these honors which, according to federal law, are now so easily degraded and devalued by the shameful actions of a despicable few. The implementation of laws to protect our honor, and punish those who would abrogate, who would pursue such conduct to dishonor those of us who have fought to protect their freedoms, is long overdue in many states. And there is no better time than the present to take action to address our federal government’s failures. Major General James E. Livingston, USMC (Ret) is a recipient of the Medal of Honor. In addition to serving on numerous corporate and nonprofit boards, he is the CEO of Kronos Advisory. An autobiographical account of Gen Livingston’s military career, including his courageous actions at Dai Do, Vietnam that earned him the highest military decoration awarded by the United States Government, is presented in his book Noble Warrior: The Story of Maj. Gen. James E. Livingston, USMC (Ret. ), Medal of Honor. Lance Cpl. Joseph Panetta, left, meets with his Lima Company captain, Col. John W. Ripley, during a July 2008 reunion in Florida. About 40 years passed since Lance Cpl. Joseph Panetta had seen his Lima Company captain, Col. John W. Ripley, in the jungles of Vietnam. Panetta, who was only 19 when he began his tour in Vietnam, was astonished. “He said, ‘Joe, I remember you by your eyes,’ and I was stunned,” he said. “I couldn’t believe it. Colonel Gerald Turley right with the author. The history of the 20th Century saw the spread of Communism the world over the virtual river of blood left in its wake was unprecedented. Communist expansion was greatly facilitated in the West through subtle psychological maneuvers and a policy of appeasement which weakened the anti communist’s will to resist. From ping pong matches with China to baseball games in Cuba, Western leaders carried out a foolishly optimistic approach to the advancing red wolf. While Communist leaders conquered vast territories at gun point –putting hundreds of millions to death in the process– those same optimists dreamed of disarming the enemy with conciliatory smiles and concessions (a policy which continues until today). That dream was proven to be a nightmare forty years ago when a handful of brave South Vietnamese soldiers and American servicemen faced and ultimately repelled the largest Communist onslaught of the entire Vietnam War. It was all made possible through fortuitous circumstances which placed Colonel Gerald Turley, then a Marine Corps Lieutenant Colonel, in a crucial position of authority for four adventurous days. His fearless decision making and intestinal fortitude turned certain defeat into a stunning victory and prevented a humiliating outcome for American forces. At the height of the Vietnam War in 1968, there were over 500,000 American servicemen in the country. Over the next years that number would be drastically reduced when President Richard Nixon took office in January of 1969. His Vietnamization program was aimed at getting American troops out of the country and turning the war over to the Vietnamese. In the following years massive amounts of Soviet and Chinese weaponry made its way to North Vietnam. This included Soviet MiG aircraft, T-54, T-55 and PT-76 Russian tanks, Surface to Air (SAM) and heat-seeking missiles and an abundance of 130 MM to 152MM artillery. In March of 1972 there were only 50,000 American servicemen in the country. The imminent withdrawal of American support and the buildup of armaments in the North proved to be demoralizing to the South Vietnamese anti communist resistance. They had good reason to be discouraged. However, what the Vietnamese did not realize at that time, was the quality of the American advisors who returned to help. One of those men was Colonel Gerald Turley. He had already served in the Korean War and had now voluntarily returned to Vietnam for a second tour of duty in a war that was becoming more unpopular by the day. On Wednesday March 29, only days after arriving in the country, Colonel Turley was in the middle of a four-day trip visiting the firebases, along the Demilitarized Zone (DMZ). He spent the night at the 3rd ARVN (Army of the Republic of Vietnam) Division Headquarters in the AI TU combat base, located five miles south of the Dong Ha village. The following morning was spent in briefings followed by lunch. When he stepped out of the dining tent the area was suddenly struck by intense artillery fire. It was the first salvos of the historic battle that would come to be known as The Easter Offensive. “So many artillery shots were going off,” said Colonel Turley, “you could not distinguish one from the other.” Before the sun set that day, over 11,000 rounds rained down on the South Vietnamese firebases and surrounding villages in the northern part of Quang Tri province; and more was to come. For eighteen hours the South endured a hellish barrage. On the morning of March 31, the Army Colonel in charge of the 3rd ARVN Division began to suffer from combat fatigue. He eventually approached Colonel Turley with a surprising request. “Would you mind taking over here for a couple of hours,” he asked. “I am Marine and am only here as an advisor,” Colonel Turley replied. “I can’t do that.” When the Army Colonel insisted, Colonel Turley asked for his name and Social Security number which he quickly scribbled down on a piece of paper. This seemingly insignificant incident made Colonel Turley the Senior Advisor in charge of the entire 3rd ARVN Division and changed the course of the battle. For the next four days he made numerous critical decisions which ultimately broke the back of the adversary. His task would not be an easy one however. His newly acquired area of responsibility spanned the five northernmost provinces of South Vietnam. Between his location in the Command and Control bunker (COC) and the DMZ was twelve firebases manned by South Vietnamese Marines and their American advisors. Over the next days ten of those firebases, including Camp Carroll with its 1,500 troops and twenty-six artillery pieces, fell into enemy hands that were advancing in a three pronged attack. By Easter Sunday over thirty thousand civilians were making their way down Highway 1 in a desperate attempt to flee the wrath of the adversary. Communist NVA artillery fire was strategically placed right on top of them. Those surviving the deadly rounds melted back into the masses and kept moving. South Vietnamese soldiers, seeing the futility of resistance, removed their military insignias and blended in with the frenzied mob. “It was absolutely the worst scene I have ever witnessed,” said Colonel Turley, his words trailing off as if the image was too painful to revisit. The NVA, seeing the South’s weakness, exploited it to the maximum degree and began an unhindered advance towards the Dong Ha Bridge with 30,000 troops and 200 tanks. They were in for a big surprise upon their arrival. The brave men of the 3rd Division under Colonel Turley’s leadership were about to turn the tables. From being hunted, they were about to become the hunters. This Diorama, located in Bancroft Hall at the United States Naval Academy, dramatically illustrates Colonel Ripley's Heroism during the destruction of the Dong Ha bridge. . Colonel Turley, who was personally given a carte blanche for B-52 strikes in I CORPS by an Air Force Lieutenant General, ordered over fifty such missions. He then ordered the 3rd ARVN Division to commit its reserve Battalion, the famed “Soi Bien” or Sea Wolves, commanded by Major Le Ba Binh, and legendary Marine Corps Captain (later Colonel) John Ripley. It was the equivalent of playing ones last card. Leaders in the Army Regional Headquarters at Da Nang, eighty miles south from AI TU, did not realize the gravity of events along the DMZ. They ordered Colonel Turley not to blow the bridge since it would be useful for a counter offensive. Colonel Turley knew there would be no counter measure if the bridge was left standing and courageously ordered Colonel Ripley to destroy it. With the Dong Ha bridge in flames NVA tanks made a futile rush for the Cam Lo bridge west of the city. Their elongated column provided a perfect target for Naval Gunfire from the USS Buchanan sitting in the Gulf of Tonkin and the B-52 strikes which Colonel Turley had requested hours earlier. The column of Russian tanks was now caught in the cross hairs of naval and air gunfire. Later in the afternoon of that same day another problem developed when an EB-66 Electronic intelligence aircraft was shot down. The only survivor, Lieutenant Colonel Iceal Hambleton, was a ballistic missile expert with top secret clearance. The Air Force called for a cease fire in a seventeen-mile-radius of the downed pilot which practically encompassed the entire area of operations of the 3rd. Division. When an American Jolly Green HH-53 helicopter tried to rescue the pilot it was struck by a SAM Missile and burst into flames. Ten more aircraft were lost during the eleven-day rescue mission. Once again Colonel Turley would have to go directly against orders from higher command. To stop firing would have spelled certain defeat and he was not about to lose this battle. It was decided that a three mile radius around Lieutenant Colonel Hambleton was a sufficiently safe distance. In an act of selflessness Colonel Turley accepted full responsibility for the pilot’s safety and directed Lieutenant Joel Eisenstein in the COC to continue coordinating naval gunfire with the USS Buchanan. The Easter Offensive continued through the rest of April. However, the Communists were simply unable to overcome the devastating blow given to them by a Marine Corps Lieutenant Colonel who just happened to be in the right place at the right time. They were finally halted just outside Quang Tri City on May 1st.. Thus the fall of South Vietnam to Communism was delayed for a full three years and more importantly, America, the anti-communist bulwark in the world, was saved from a humiliating defeat. It would be an exaggeration to say Colonel Turley’s actions alone are what halted the Easter Offensive. There were many brave men who fought and some who gave the full measure during those fateful days. However, there is a striking difference between Colonel Turley’s actions and theirs. If they survived they could only expect awards and praise –which they richly deserved–, whereas Colonel Turley knew that he would likely receive reprimand, scorn and possibly jail time for his perceived insubordination. It is for this reason that Colonel Turley is truly the hero of the Easter Offensive. He chose to make war against communism at a time when so many others simply preferred to play games and smile. Comments made during a lecture Colonel Turley gave at the headquarters of the American Society for the Defense of Tradition, Family and Property (TFP) in Spring Grove, Pennsylvania. Hereafter referred to as TFP lecture. From an official report about the Easter Offensive, prepared by Colonel Turley, for the purpose of getting Colonel John Ripley’s Navy Cross upgraded to the Medal of Honor. 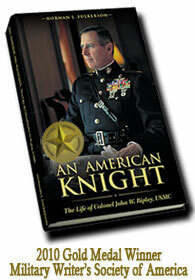 The details of this daring feat, for which Colonel John Ripley earned the Navy Cross, are narrated in his biography, An American Knight: The life of Colonel John Ripley USMC.